The Australians really do know how to make healthy, tasty and very aeshetically pleasing food. I seem to be drawn to the instagrammers with heavenly food feeds. I've been dreaming of the day this style of eating becomes accessible in the London. The Australian's holistic approach to a healthy lifestyle is just what we need in Britain. Personally, I love this clean, healthy eating concept. Last week, Gabriella and I went on a little local girly date to enjoy some lunch and spend some time by ourselves. We strolled along Westbourne Grove, collecting leaves as we went and admired a few vintage beauties along the way. I cannot recommend the chicken sandwich enough. Totally gorgeous. The Farm Girl Cafe is like a dream. In every way. First of all the location is very pretty, tucked away through a typically English quaint little courtyard. Although it is well sign posted you would probably have to know it was there to find it. To me that makes it all the more perfect. The atmosphere is so relaxed, the laid-back Australian vibe can be felt, it suits Notting Hiller's so well. The place seemed to be popular to an eclectic mix of people, just what you would expect, where it is located in the heart of Portobello Road. 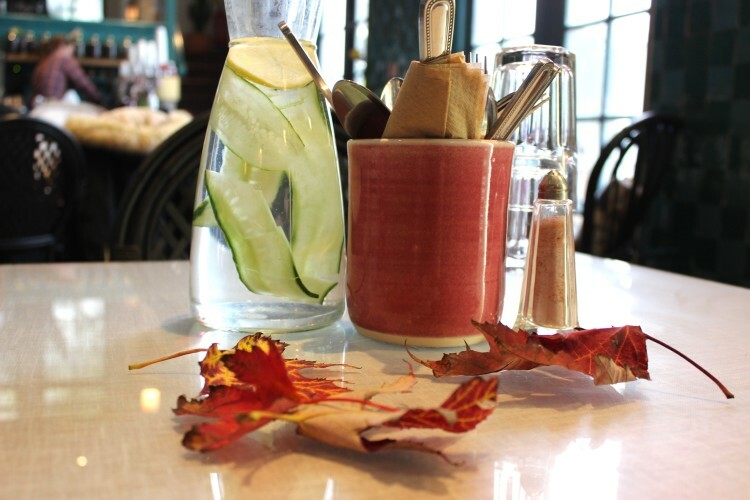 The cafe is beautifully styled, effortless and very cosy. We wanted to stay all afternoon. The service is amazing. Everyone is so friendly, very attentive without it feeling too much and they have the cutest resident dog. I took Gabriella, and at four years old she was made to feel very welcome. So much so, she wanted to stay forever. The carrot cake is so yummy, very moist and you'll want to take some home to enjoy later, like we did. It was possibly the most tasty food I've ever tasted from a cafe. Often, when you think of healthy food you kind of think of a compromised taste. 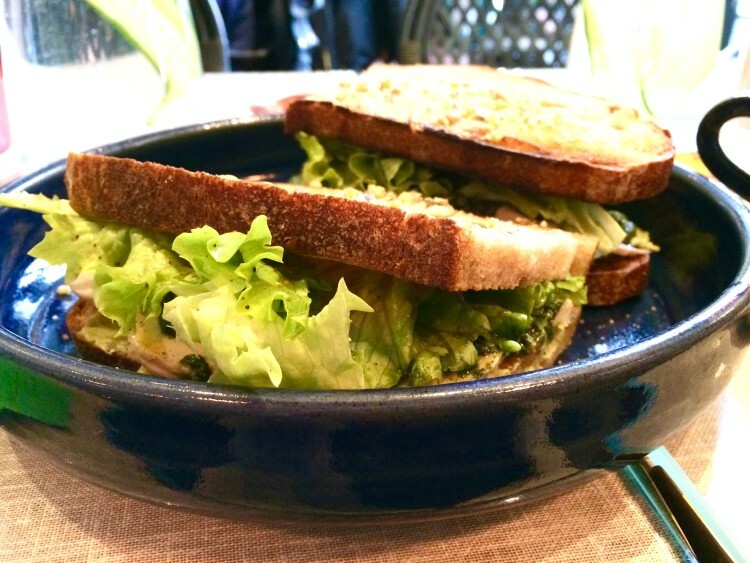 The Farm Girl Cafe certainly proves that the healthy choice needn't be a compromised choice. When food is prepared and cooked with high quality, clean ingredients every single favour can be enjoyed. It's so nice to see that many dishes are cooked in coconut oil and dairy is replaced with almond or coconut milk. 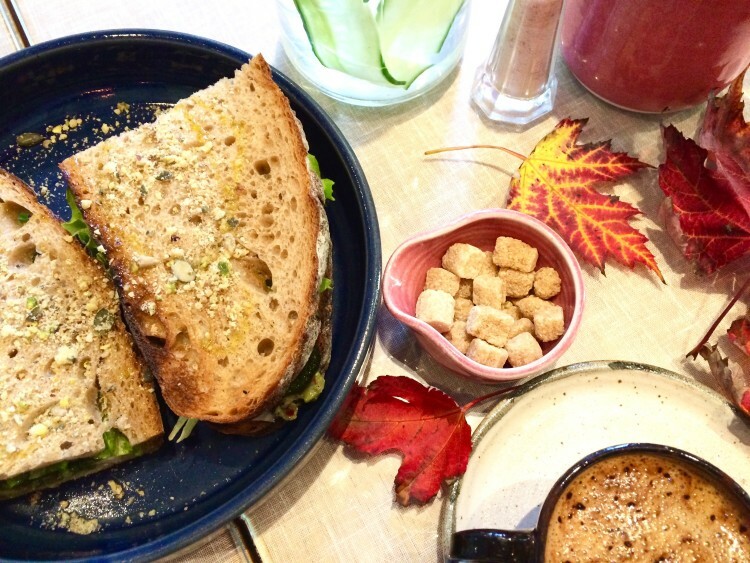 I've eaten at so many highly rated cafes and The Farm Girl Cafe is definitely amongst the top. On the menu, you will find plenty of options for vegans and vegetarians and those that are gluten and lactose intolerant. I'm especially fond of places like this because my mum is gluten and lactose intolerant, which can be quite a challenge when we want to go out for something to eat. It's quite exciting when I look at a menu and see so may dishes that would be suitable for her. Waiting for her next visit to London so that I can introduce her to this amazing liitle place. Just a little thought, wouldn't it be nice if The Farm Girl Cafe published a book with all their delicious recipes so that we can enjoy them at home too.